Let’s be honest, most of us want the longest hair as possible, which can be interpreted in different ways. Some find arm pit length long enough and others would like to have waist length. 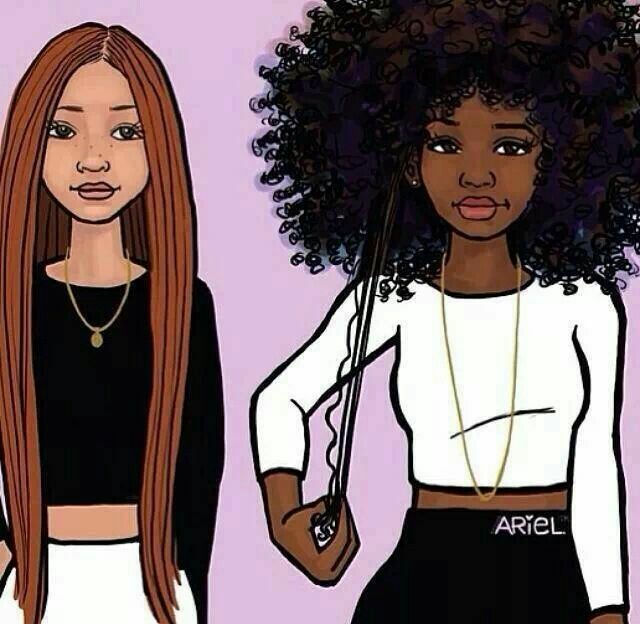 Either way, we all have our own personal hair goals. Since I have mixed feelings about the length of my hair, I usually end up cutting it to my shoulders and then let it grow out again to mid back length pretty fast. So I will provide you with some tips that works for me and might help you too! I used to do a hot oil treatment once in a while but it wasn’t until two/three years ago, I started deep conditioning my hair on a regular basis. 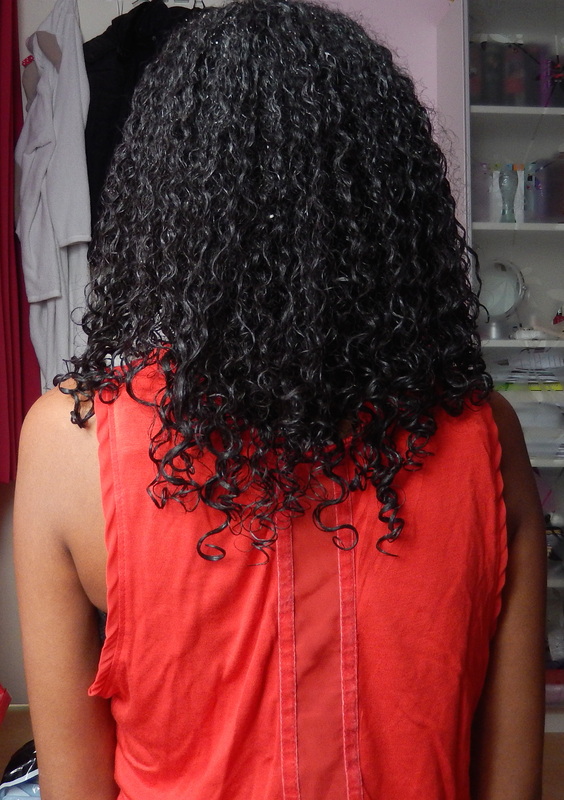 It made a huge difference to my hair, it became less dry and it wasn’t so sensitive to breakage anymore. Personally, I deep condition my hair once a week for moisture and once a month a protein treatment to keep my hair balanced. When your hair is damaged or you just start with a routine, it is better to start with moisture treatments twice a week or protein treatments once a week. Your hair doesn’t only respond to products you put in it, but also to the food you take in yourself. Honestly, I don’t eat very healthy myself too, so I’m not saying that you should become a vegetarian now but if you watch what you eat, you will notice a difference in your hair (and also on your nails and the rest of your body). I didn’t believe this had anything to do with hair growth until I actually experienced it myself. I used to rinse my hair every morning all over again and wear it down. Not only did it cost me a lot of money, but it gave me a lot more split ends and dry spots because of all that exposure. Now I only wear my hair down when I’m not working and it is much healthier. I already mentioned once that heat can damage your hair very quickly, so you need to be careful with that. I flat iron my hair up to a maximum of five times a year. Sometimes, I decide not to use heat on my hair for six months and I only flat iron my hair twice a year. 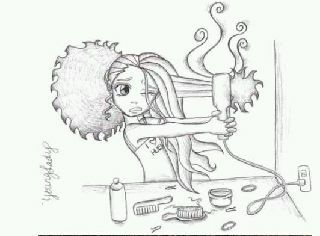 So, it is best to take breaks in between flat ironing your hair in order for it to relax and give it time to grow. Your hairdresser might say that you need a trim every six weeks but that is really not true. You only need a trim when your ends are unhealthy and cannot be saved anymore. So please, don’t believe the myth that trimming your ends make your hair grow faster. Twice or three times a year is enough to trim your ends. This kind of applies to point number two. I know a lot of people don’t like the taste of water but it makes a huge difference. Not only to your hair, but also on your skin. 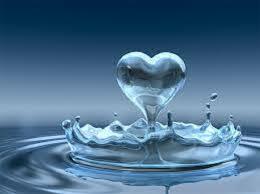 If you find it really difficult to drink enough water, try to add fruity flavors or drink (green) tea. Most important of all, be patient. Your hair will not grown from shoulder length to your tailbone in a month. It will take time and besides, healthy hair is much better than long hair!